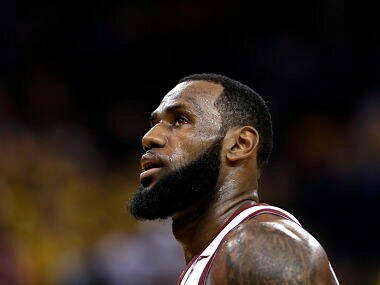 Los Angeles: LeBron James will make his Los Angeles Lakers' home debut on 20 October against the Houston Rockets at Staples Center arena, the National Basketball Association announced on Friday. The four-time league MVP James, who left the Cleveland Cavaliers last month to sign with the Lakers, and his new teammates travel to Portland on the 18th for their regular season debut contest. The announcement comes two days after the league released their abbreviated schedule for its 73rd season. 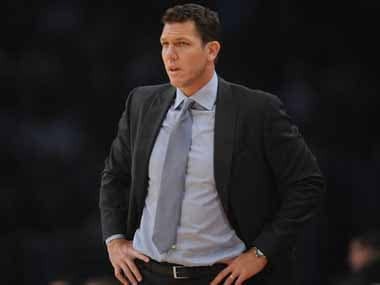 On Wednesday, the league announced that for the 20th straight year, the Lakers will play on Christmas Day, travelling to face the defending champion Golden State Warriors. James returns to Cleveland for his lone game against the Cavaliers on 21 November. The Lakers will play on national television 35 times. 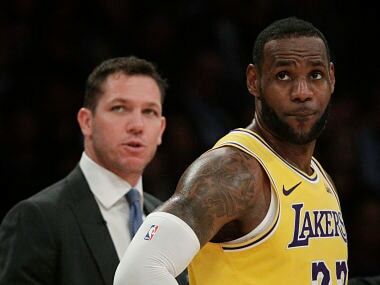 James, who signed a four-year, $153 million contract with the Lakers in July, faced the Warriors in each of the past four NBA finals as a member of Cavaliers. The Lakers' longest road trip of the season is a five-game, 12-day stretch from 1-12 February when the Grammy Awards are held at Staples Center. They'll play 13 back-to-back sets. In other key contests, Toronto Raptors Kawhi Leonard will make his return to San Antonio on 3 January. The Spurs dealt Leonard to the Raptors in the offseason for DeMar DeRozan. DeRozan returns with his new team to Toronto on 22 February. The league will stage its earliest opening to a season since the 1980-81 campaign began on 10 October.